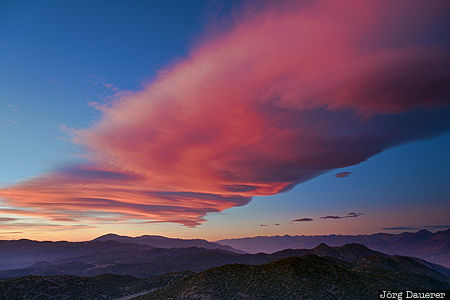 A spectacular sunrise above the White Mountains with a huge red sunrise cloud above the silhouettes of the mountains. The White Mountains are in the east of California, United States. This photo was taken in the morning of a stormy day in October of 2016. This photo was taken with a digital camera.